If you are bored with casual or cafeteria style of Korean restaurants in Dubai, then drop in the mezzanine floor of the Byblos Hotel situated in the Tecom area of this metropolis. Here you will find Kung Korean Restaurant & Karaoke that is a renowned fine dining restaurant and serves delicious food of Korea in an authentic way. The approach of its chefs towards preparing these luscious Korean dishes is quite delicate, as they want their guests to experience the true flavors of this far east country. Similarly the décor of Kung Korean Restaurant & Karaoke is also done quite in a classy, but careful manner. 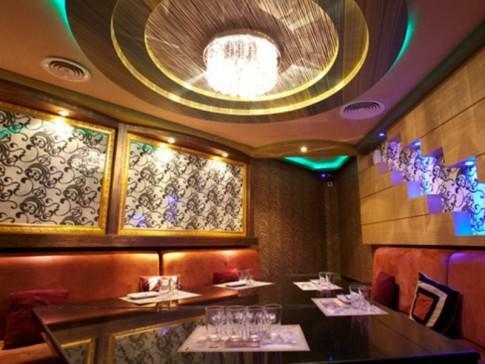 This makes its each dining and Karaoke areas different and more attractive than others. Female Pilipino staff is also quite helpful and attentive, as they serve guests with a pleasant smile on their face. This fine dining restaurant is an ideal spot to savor typical Korean lunch, dinner, desserts and late night food. Aside from having two private dining rooms, this eatery also offers luscious Korean menu that does not come cheap. Moreover, seating capacity is limited as well so advance reservation is recommended. Alcohol is also offered at this eating place along with the scrumptious Korean food. Moreover, smoking is also permitted in this eatery. Guests, who have passion for singing, will get to sing their heart out at this venue, as Kung Korean has eight private Karoke rooms which are made especially for this purpose. Moreover, plenty of space is available when it comes to car parking as there is a paid parking and street parking. So guests, who want to get here by car, would not face any problem. The opening hours of this restaurant for lunch are from 11:00 am to 2:00 pm, while the timings for dinner are between 6:00 pm and 11:00 pm. Kung Karaoke, on the other hand, remains open from 7:00 pm onwards till 2:30 am late in the night. Byblos Hotel, Tecom Area - Dubai - United Arab Emirates. Head in the east course and at the roundabout, take the third exit. Then, turn left and you will find the destination on the left side. 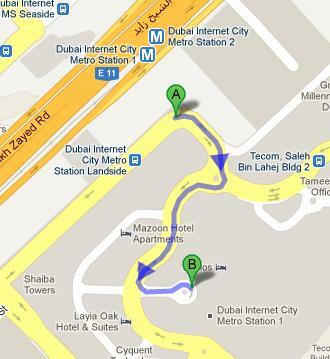 Bus number F31 will take you to the nearest bus stop of Kung Korean Restaurant & Karaoke that is Tecom, Mashael Bldg 2 – Dubai. The distance between these two sites is close to 450 meters and by walk it can be completed in roughly 6 minutes. If a person heads in the northeast direction from this bus station and then at the roundabout, take the second exit before making a slight right turn that will lead bus user to the destination located on the left side. See the map for directions.